Many of us are optimists and like to think there’s an innate sense of goodness within us all, but given a God’s power, how would we react? 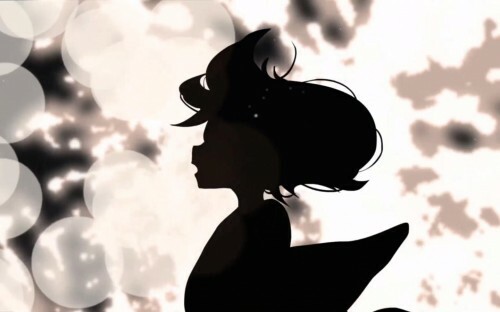 Shin Sekai Yori (From the New World) answers that question within its first 3 minutes: upon the discovery of psychokinesis, civilisation regresses into a thousand year-long dark age, where Man is subjugated by an immense, supernatural power. One such power, the Emperor of Great Joy, marks his coronation by burning to death the first 500 people to stop clapping. It’s said they clapped for 3 days and nights. It came to me after I read the book, On Aggression, published in 1970 by Australian ethologist Roland Lorenz. In his book he wrote that because humans were weak creatures to begin with, the checks against intraspecies aggression were also very weak. We are damned, then. Or, at least, that’s how the series begins. The balance of power shifts heavily in favour of a certain few and they take a full and bloody advantage. 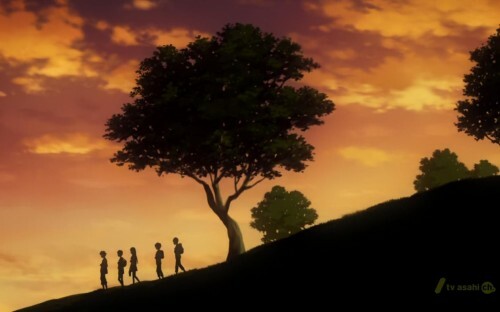 Morality, it seems, is relative, but as pessimistic as that sounds, the idea that Man is, to his core, an aggressive animal, informs everything about Shin Sekai Yori. When its main story starts, we assume that the so-called dark age is over, but what’s clear from the first episode on, is that something’s gone badly awry. There’s a palpable air of paranoia about the village in which it’s initially set, where children with telekinetic powers are being brought up to believe in all kinds of tall tales. Stray beyond the village’s boundaries and be attacked by roving monsters; allow yourself to be consumed by selfish desire and become a demonic fiend. At the end of both, the hero chooses suicide. Later, in the village itself, one of the children cheats at an apparently innocent-looking game by using his psychic powers. He’s removed from class, never to be seen again. The implication is that he was killed for abusing his power: the school is being used to screen for any potentially bad Gods. Shin Sekai Yori’s ultimate solution to preventing society’s collapse is not a romantic one: if Man is fundamentally destructive, then he’s broken. The only fix is to change his DNA, to modify the very fabric of his being, and the sad fact of the matter is that it’s hard to argue against that point of view. To let such an overwhelming power roam free is to condemn one’s self to the whims of another, and yet, to see these children realise the truth for themselves, to see them fight, and understand what it means to love and experience a life of colour, and vibrancy and feeling. It raises important questions. Is there any point in striving for such an empty peace? Why the need to see the world through unfiltered eyes, if that same lack of filter is what dooms us to an endless cycle of violence? There is no easy answer, every one laden with painful memories, happy and sad, of times past. What a difficult, brilliant series this is, then, filled with such disparate, fleeting images of horrific violence and sparkling beauty. 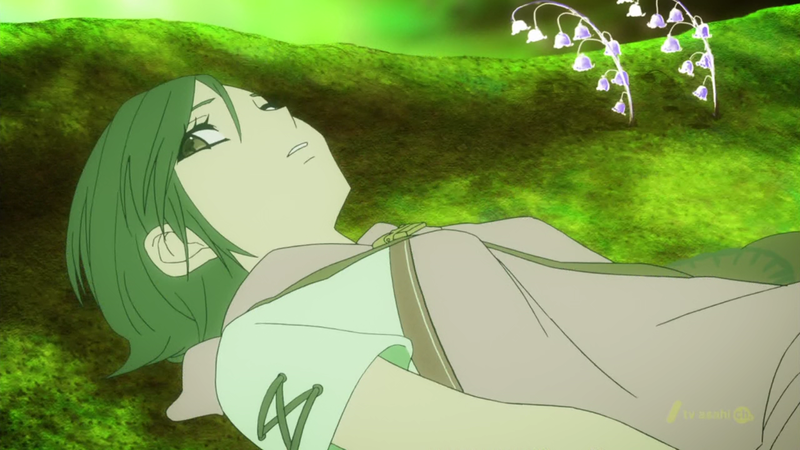 We (in the circles of the blogosphere I frequent) will nitpic and argue about intention and meaning of Shinsekai yori – what this art change means, how this exposition was handled, what this iconography says about things to come – but I am thankful anime like this is still being made all the same. It’s the kind that can engage complex ideas and inspire spirited debate, and promises layers of meaning to those who take the time to look. It’s things like this with uncommon ambition and skill that still make me excited to be an anime fan. I wonder about how much control the adults have over the situation. That is, I wonder if that cat-thing that we see stalking the kids who vanish is doing the bidding of the adults, or if they have set up these restrictive rules because it’s the only way they can protect themselves from those forces. All the adults we’ve met so far seem scared; maybe their calm existance comes from their terror of what lies just beyond. The peaceful pastoral life everyone is living in is more fragile then they’re letting on. Personally, I think the adults are controlling everything through brain-washing and hypnosis, like when they tell the children they’ve taken away their powers: the children are conditioned to believe them. Naturally, the brilliant thing about this series is that we don’t know how any of it will pan out and weird phenomena like that “cat-thing” really could be something horrific and supernatural and crazy! I stumbled on your blog as I as looking for more information about the Nana anime (which unfortunately has no updates). It was a nice surprise to see such in depth analysis of quality anime instead of the fanservice junk that seems to make up 80% of the industry right now. It seems like you’re familiar with Makoto Shinkai’s work but I haven’t seen you write anything about 5cm per second. If you haven’t watched it, I’m sure you’ll enjoy it. Thanks for the recommendation, CC. I’m hoping to give it a look at some point! What a thoughtful write-up. Is it mournful? Does it have that air of melancholia that could go a long way to enhance its atmosphere? I haven’t watched it yet, but its one of the shows I eagerly await the completion of, so I can marathon it. There’s more just a pervasive sense of unease: it’s a bit like 2007’s Toward the Terra, in the way that it’s just set-up to slowly unravel a series of ugly truths. Terra e is probably one of my favorite sci-fi anime of the last 10 years. Just having you mention it in the same sentence as SSY has me all jittery! Excited! I gave Shin Sekai Yori a try but dropped it after episode 4. After reading this post I gave it another shot and muscled up episode 7. But this just confirmed my decision to drop it. It feels contrived and shallow. The character designs (especially the non-humans) seem like little time was spent on them. The change in animation style seems like a budget problem. And while there are some interesting story points, there rally isn’t much time spent on development. It all just feels like filler. There just isn’t enough here to warrant my time watching it. I wrote this post after re-watching the first 5 episodes, the first 4 of which were, in my opinion, brilliant. Episode 5 is when the cracks started showing, though. That episode was directed by Shigeyasu Yamauchi (of Casshern Sins (which I loved! ),) who has a very distinctive style, so I put a lot of what I was feeling down to him, but episodes 6 & 7 were just simply a poorer quality of anime. The animation has clearly taken a nose dive and the story itself just felt a little inconsistent and distracted. Episode 8 was an improvement, though, and I’m hopeful it’ll stay that way. Sadly, SSY isn’t as consistent as hoped, but it’s still one of the first series I turn to every week: the story is fascinating enough to keep me coming back, it’s about as unpredictable as anime gets.